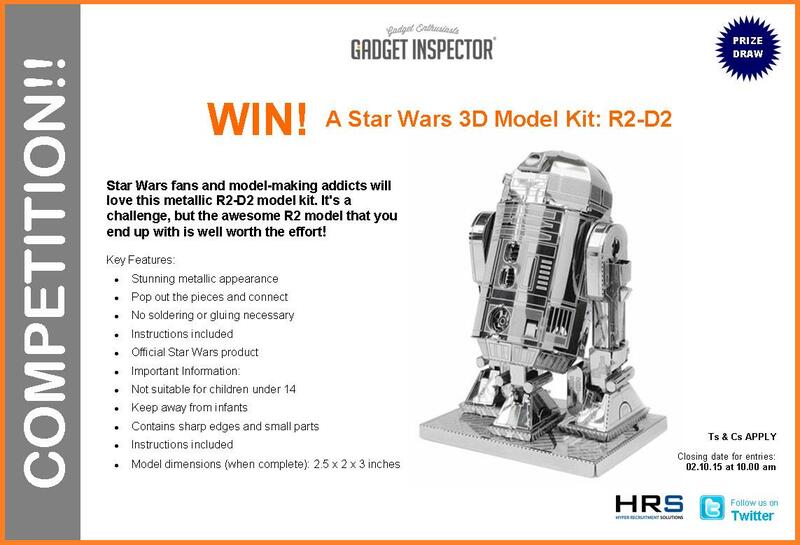 If you're a Star Wars fan or a model-making addict, you're going to love this! Our R2-D2 3D Model Kit is a challenge, but the awesome R2 model that you end up with is well worth the effort! It'll look great on your mantelpiece, and then everyone will be able to admire your great craftsmanship! There is no soldering or gluing needed - simply pop out the pieces and get connecting! By now, you must be wondering how you can get your hands on one this fantastic model kit.The good news is that you might just be able to win one in our latest competition; we've once again teamed up with Hyper Recruitment Solutions on Twitter, and we'll be giving away an R2-D2 3D model kit to one lucky winner on the 2nd of October 2015! Sit back and cross your fingers - the winner will be announced on Friday the 2nd! That's all there is to it - as it says above, the competition closes at 10am on Friday (October 2nd), so make sure you get your entry in before then! Click here to see more of the R2-D2 3D model kit! Freshers Week 2015 is here! It's a week where you will drink copious amounts of alcohol into the wee hours of the morning, trying to drink everyone under the table and then ending up dancing on that table! You'll probably wake up not knowing where you are, how you got there or what happened that night, but that's all part of the booze fuelled fun! Of course, an epic freshers night out can't start without having a totally awesome pre-drinks party! But sometimes it's hard to think of ways to make the party epic. This is where we step in to help - we've listed our top 5 fresher essentials that will make your freshers week as epic as can be! Beer pong is the daddy of all drinking games! It's been played at parties since the stone age! But this is no ordinary pong set. 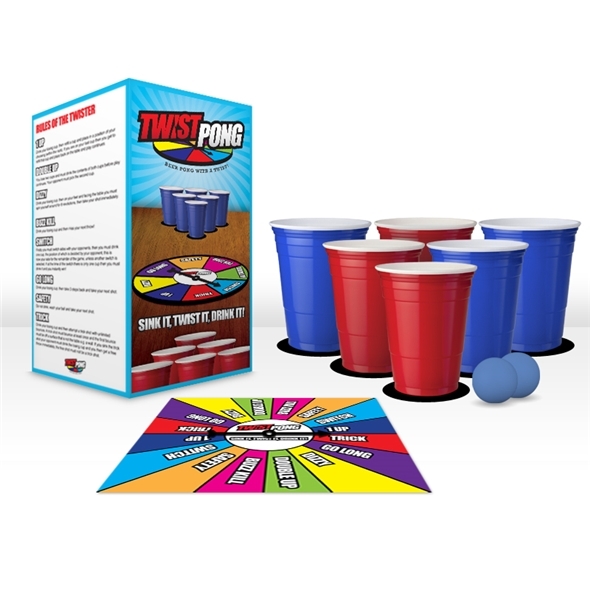 Twist Pong is a spinner game that puts a fun twist on the classic beer pong rules: for every cup you lose, you have to twist the spinner board of doom and do a forfeit! That forfeit could be anything from missing a go to switching sides with your opponent - anything can happen in Twist Pong! Beer bongs have been popular since your parents were young, and for good reason - they can always be relied upon to liven up any party! 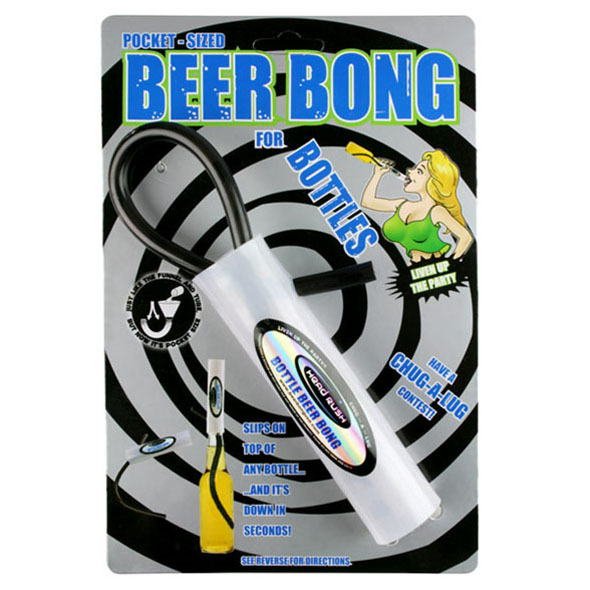 The Ultimate Beer Bong is the perfect way to turn a few quiet drinks into an exciting challenge; just pour your drink into the funnel and attempt to drink it all in one go. You'll either become the legend of the party or get shamefully soaked, but either way, fun is guaranteed! It's kind of difficult to play beer pong without a table. Sure, you could always use your dinning table but if you spill beer all over it, which is highly likely, that table is going to get really sticky. So why not get yourself a proper beer pong table instead? This Sunken Cup table is perfect for all your beer pong needs, and it even shows you where to put the cups! It ain't a party without jagerbombs, and these 'Bomber' Jagerbomb cups are perfect for them. 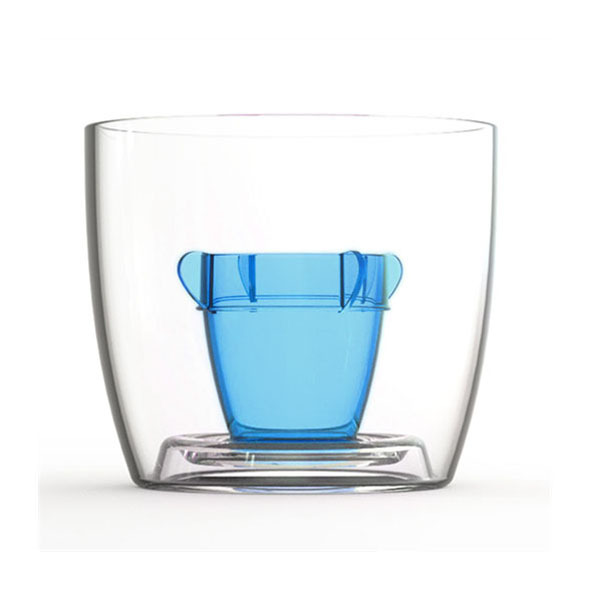 The design is simple, yet effective: it's a cup inside of the cup, and the smaller cup is shaped like a cool rocket! Just add your Jager and energy drink and you're ready to go! Click here for more great drinking accessories from Gadget Inspector! Do you enjoy a good singalong in the shower or bath? Of course you do! We all like to pretend we're Britney Spears or Michael Jackson from time to time. But, obviously, you can't just bring your phone in with you - after all, water and smartphones don't really get along with one another! Fortunately, our Bluetooth Shower Speaker is here to help! Just stick it to the shower and, by the power of Bluetooth, you can play your favourite tunes from your phone! You can even answer phone calls! By now, you must be wondering how you can get your hands on one. The good news is that you might just be able to win one in our latest competition. We've once again teamed up with Hyper Recruitment Solutions on Twitter, and we'll be giving away a shower speaker to one lucky winner on the 18th of September 2015. Click here to see more of the Bluetooth Shower Speaker. Win a Bladez Target RC Helicopter! Do you or any of your children enjoy remote controlled gadgets? If so, we think you might be interested in this Bladez Target RC Helicopter. It's one of the most sophisticated remote control helicopters on the market; it comes with LED lights and a very slick design, and it can shoot up to 6 missiles! Well, by now you must be dying to get your hands on one, right? Of course you are - it's a RC Helicopter that can shoot missiles, for crying out loud! And the good news is that you might just be able to win one in our latest competition. We've teamed up with Hyper Recruitment Solutions on Twitter and we'll be giving away a Bladez Target: RC Helicopter to one lucky winner on the 11th of September, 2015. Sit back, cross every body part you can, and hope that your name is the one chosen next Friday. That's all there is to it - as it says above, the competition closes at 10am on Friday (August 11th), so make sure you get your entry in before then!